Kit out your PC with the Logitech HD Webcam, Wireless Keyboard & Mouse Bundle – ideal for web chats with friends or making your own video blog. This device offers everything you need to communicate with friends around the world, including astounding 720p resolution on most major instant messaging services and Logitech Vid HD, and a built-in microphone with Logitech RightSound technology for crystal-clear audio clarity. 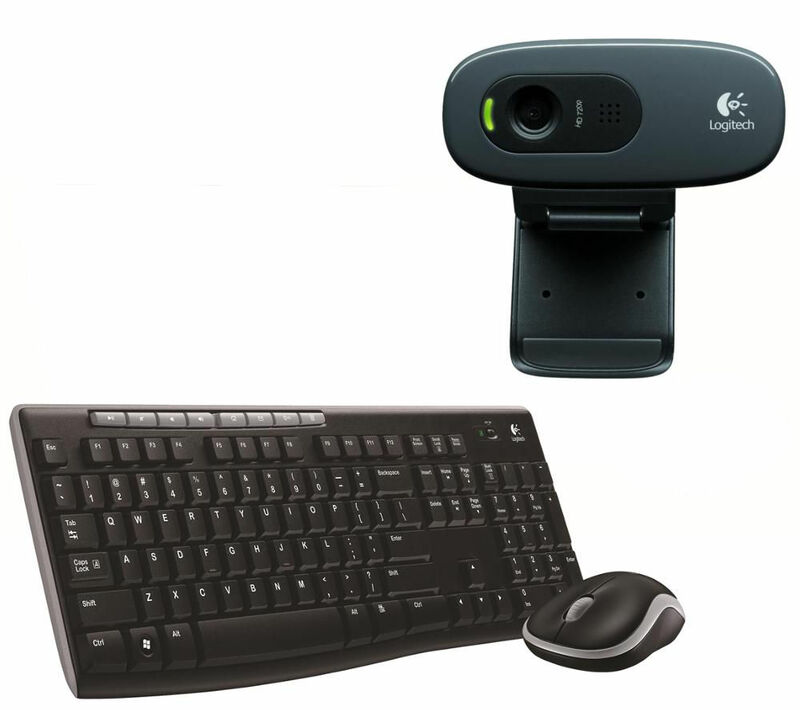 The Logitech HD Webcam C270 Webcam can take snapshots at up to 3 megapixels with its quick snapshot button, and can upload video and still images to Facebook or YouTube with a single click. The Combo MK270 keyboard and mouse use 2.4 GHz wireless technology, providing a reliable and secure connection without dropouts or delays. It has a 10 metre range, and uses the compact Logitech Unifying reciever, which recieves the signal for both your wireless keyboard and mouse so you don't need to use two USB ports. It can be stored in the internal storage compartment in the mouse when you're out and about, helping to keep it safe. The keyboard uses two AAA batteries, whilst the mouse requires an AA battery. You won't need to replace the batteries very often, as the mouse has a 12 month battery life whilst the keyboard has an impressive 24 month battery life. It also includes an auto-sleep feature which helps to save battery.